Stunning Alice in Wonderland Dress ! Wonderful kneelength sissy maid dress in lovely Alice in Wonderland Style ! The matching stunning and frilly apron that makes a cute big bow at the back and the frilly head piece / cap come together with the dress. 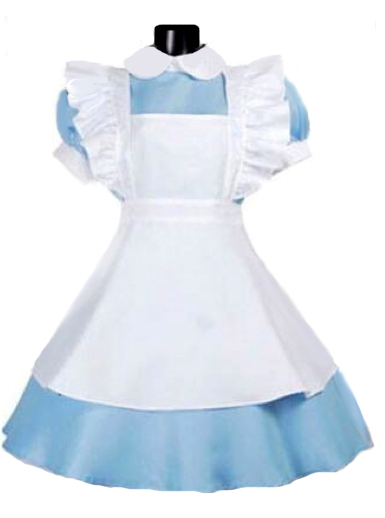 On the photo the design is shown in baby blue satin with white satin frilly apron.